WIP Wednesday: Moss Stitch Madness! I have 40 followers. WOOOOOOOOO! This week it's all about moss stitch. 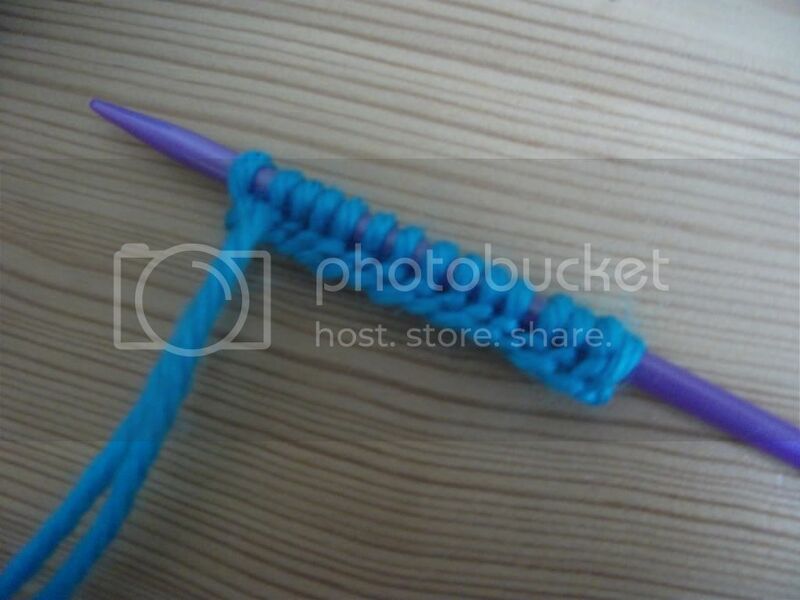 That lovely technique which you don't see enough of around the knitting community! 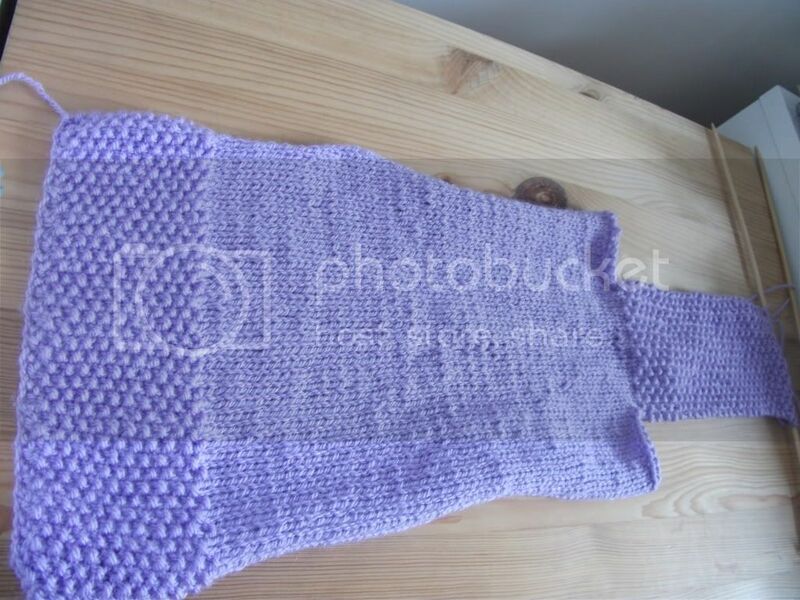 While I was on my blogging break I decided to knit something nice and easy, something that requires no thought whatsoever. It took me a while to find a pattern that fulfilled all my needs, but I finally chose The Hot Water Bottle Cover by Aneeta Patel. I decided to use the Wisteria DK yarn I have in my yarn box, as I doubt I'll use it for anything else! Yes I know what your thinking. 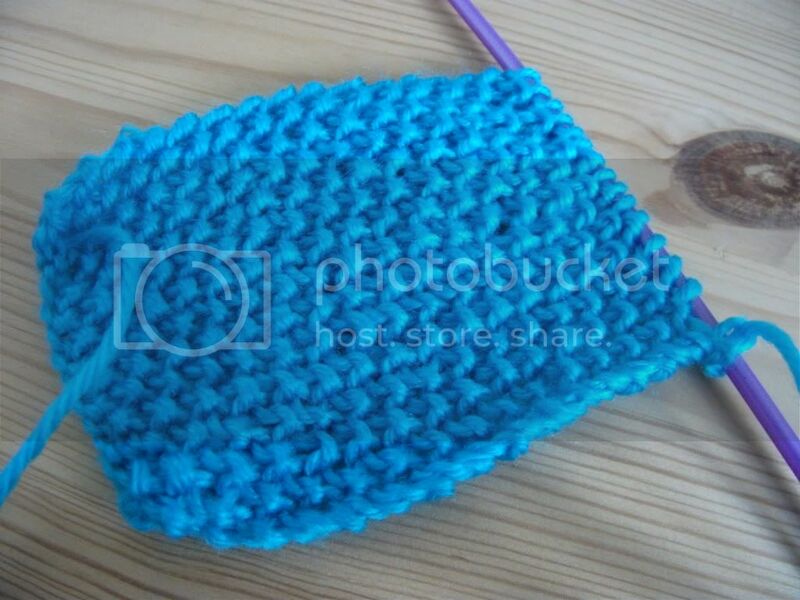 "Knitting a hot water bottle cover in June, madness!" Well I tell you what's madness. The English weather at the moment. One minute its absoloutely chucking it down with rain, with talk of a thunder storm, 20 minutes later the sun is shining. Despite the sunshine though, it's freezing.Which means this weeks knit is going to come in very handy. My other WIP for this week is a a headband! While I was interview Jasmine from Jasmine's crafts (you'll be able to read that in a few weeks time!) she was telling me about knitted headbands. I always have my hair up in a ponytail, so a knitted hairband would be perfect for me, why didn't I think of it before?! I flicked through my knitting magazines (I normally don't like them, but have recently found Let's Knit and Let's Get Crafting, which I adore!) 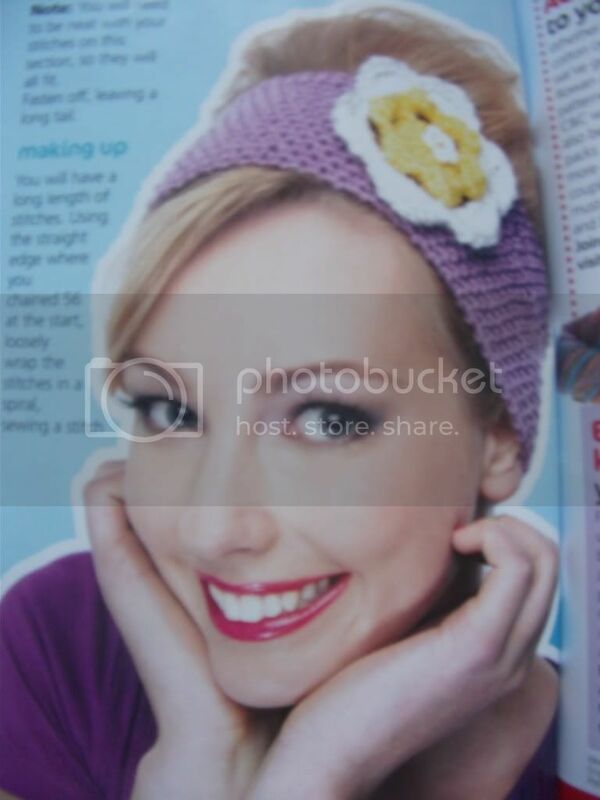 and I found a knitted headband in the June issue of Let's Get Crafting! It's a very simple patter, cast on 15 stitches then moss stitch until its 50cm or as long as you want it, then sew it up! The only problem I had in the pattern, was that the flowers for the headband were all crocheted. And I am an absolute FAIL when it comes to crochet, (I did try at the weekend, didn't go so well!) 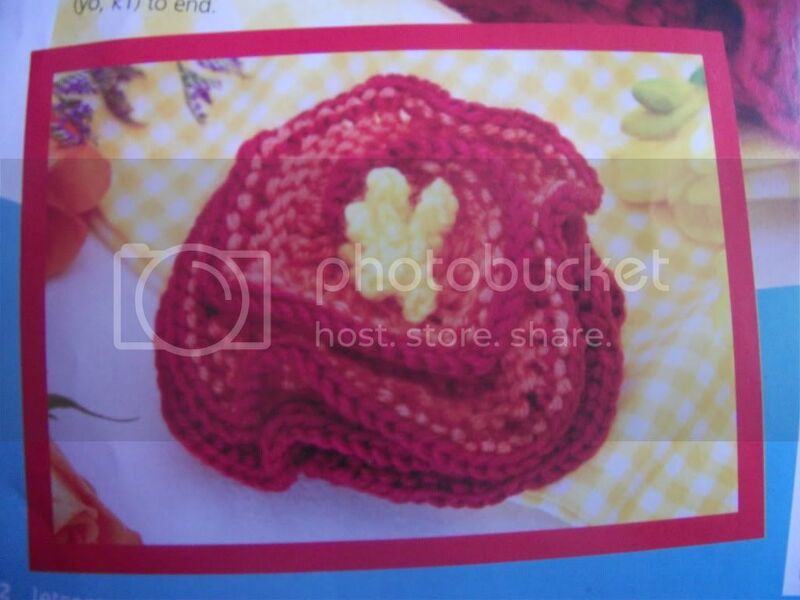 so I had to again flick through the magazine to see if they had a knitted flower! After much searching I finally found what I was looking for! The next big question was, what yarn to use?! After a long search in my Yarn Box, I found a small skein of Turquoise Summer yarn which came free with the magazine, I decided to use that for the headband. For the flower, I chose to use a small skein of White Summer yarn (from the same mag) and a small ball of Turquoise DK yarn I had lying around from the Baby Knits I did a while ago. I'm pretty confident of getting it finished today, I've already got plans on how to design my second one! 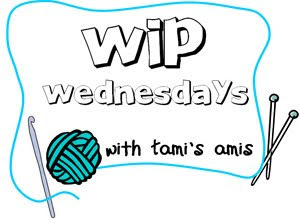 Head on over the WIP Party over at Tami's to check out more lovely posts! Moss stitch is the best stitch ever! Thanks for letting me get my fix. I can't wait to read your interview! I know what you mean about it being cold we had a fire on Sunday afternoon! I love moss stitch! Your hot water bottle cover looks really good! I think I might have to give that headband a go as well! It's funny, I've never actually knitted any moss stitch! I love, love, love the moss stitch. It's one I use often with home accessories. Your water bottle cover rocks and thanks for the headband pattern. I'm so going to try this on the weekend. The moss stitch is lovely! I think knitting a hot water bottle cover now is perfect. If it was say January you'd be thinking about afghans or sweaters to keep you warm. That headband is so cool. Beautiful color! Ah, your moss stitching warms the cockles of my heart! I love moss stitch, and I use it a lot. I really like that looks the same on both sides, and it doesn't curl at the edges. And I sure wish I could have the weather you're having. . .
my darling hubs was just suggesting i make a knitted headband! and now you have gone and done it. Guess i am going to have to also. Adorable headband - and I love the color!! Great idea with the hot water bottle cover!! I love how moss stitch looks, but I don't much enjoy knitting it. Probably because I'm a "thrower" (English style) knitter and it just seems like too much work to keep moving the yarn forward and back. I love your blog background, btw. Very fun! Hot water bottle covers are all-year round knits! I know what you mean, I started knitting a cowl at the beginning of June, everybody smirked at work at it and guess who is wearing it everyday now it's so cold! Ah, the weather! Loved your post. Moss stitch is wonderful. Have you tried doing stripes? You get all kinds of pretty effects with multi-coloured moss stitch.